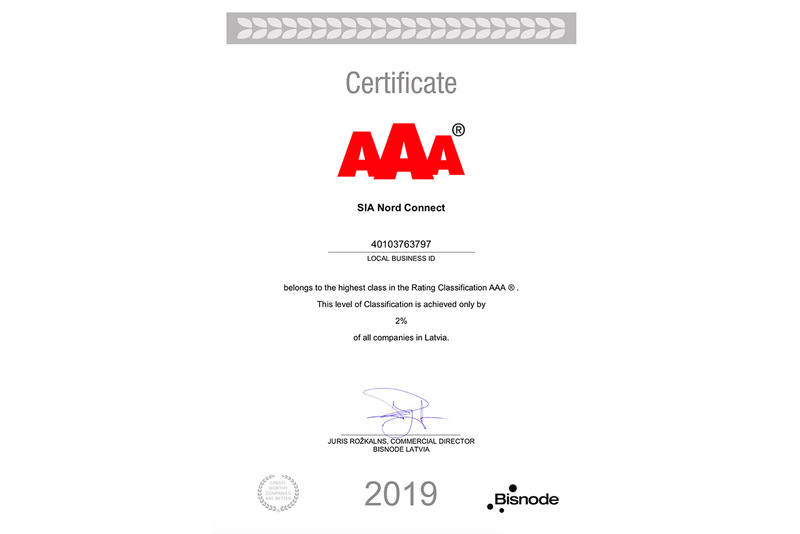 Nord Connect SIA in Latvia has been awarded an AAA® rating, the highest in the Credit Rating Classification – Nord Connect Ltd.
We are delighted to have been awarded an AAA ® Credit Rating certificate by Bisnode, based on economic data from 2018. The rating is an assessment of the company’s economic and financial indicators, based on data gathered from more than 10 different data sources. It is an honour to achieve the highest level of creditworthiness according to an internationally recognised standard, ensuring effective and trustworthy work.